We take a different approach by looking at your home energy in its entirety. Solar and energy management systems designed to fit your life. 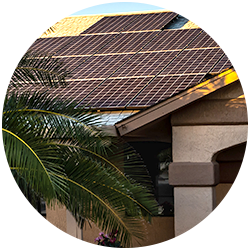 While many solar companies will recommend installing as many solar panels on your roof as possible, our approach is quite different. By first reducing your energy waste through efficiency measures, we can maximize the value of your solar investment. We have identified the highest value energy efficiency solutions that will help you save more on your utility bills and increase comfort. Once you have optimized the efficiency in your home by reducing waste, the next step is to produce your own clean energy from the sun. Going solar can protect you against rising electricity costs and give you energy independence. Knowledge is power. Never has that been more true than in energy management. By utilizing the latest energy management technology Erus will put you in control of your energy costs.